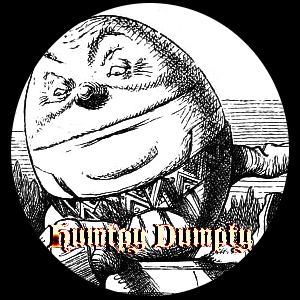 This is Part V. Part I of Humpty Dumpty is here. A slightly different version of this story was going to be the original pilot of the TV show I was working on in 2006. You can read about that story here. licia enters Humpty Dumpty’s room, wearing a lovely, exotic mostly black outfit. She enters barefoot with a mischievous smile, dancing while Humpty Dumpty lies on his bed. She throws off a shawl. As his eyes briefly look at the shawl, she drinks the vial like a shot of liquor. She swallows it down quickly and goes back into the dance. She moves closer to him and peels off her top, revealing her bouncing breasts and continues dancing, staring him in the eyes as she faces him and smiles. Humpty Dumpty stares lustingly at her full, perfectly shaped breasts, then up directly into her eyes. His heart starts to race, as she is the one he desires the most. She is tall, dark, and thin, yet with perfect curves. A painter’s absolute dream. She’d make a perfect muse. Alicia smiles once more as she drops her skirt, now completely naked except for a golden bracelet on her left ankle. She hops right onto his bed and collapses dead on him with a smile on her face.